Here is a picture from the bus. 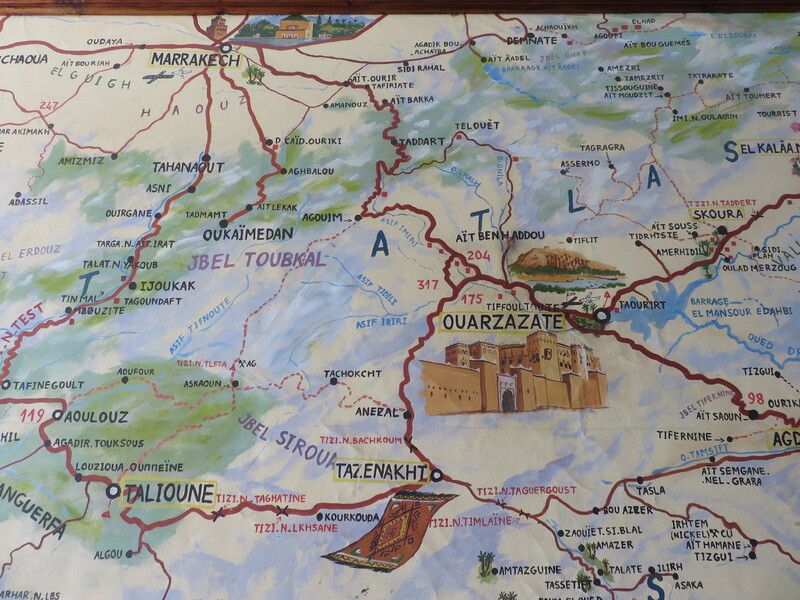 It shows how the Berber people live today in the Atlas Mountains. 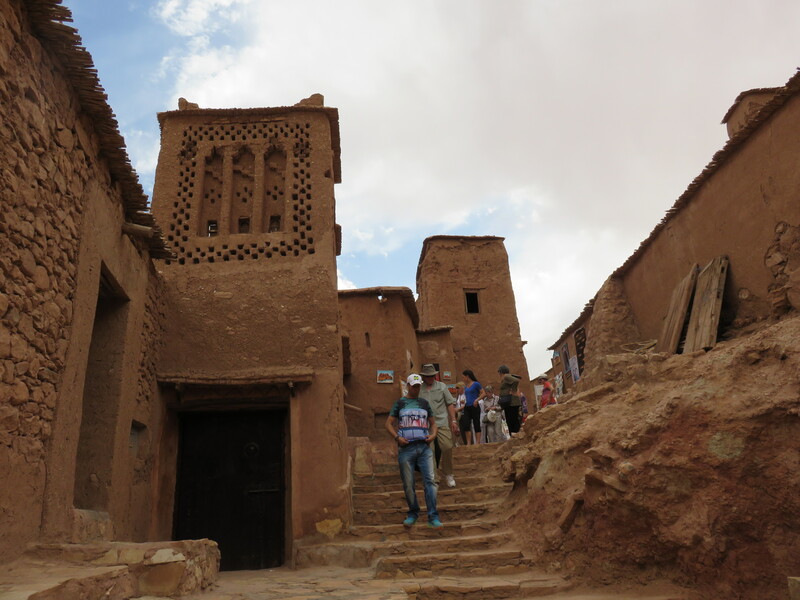 Yesterday, on Friday, July 10, we had a chance to see Ait Ben Haddou a very old Berber village. You can find Ait Ben Haddou easily on this map, near the bigger town of Ouarzazate. 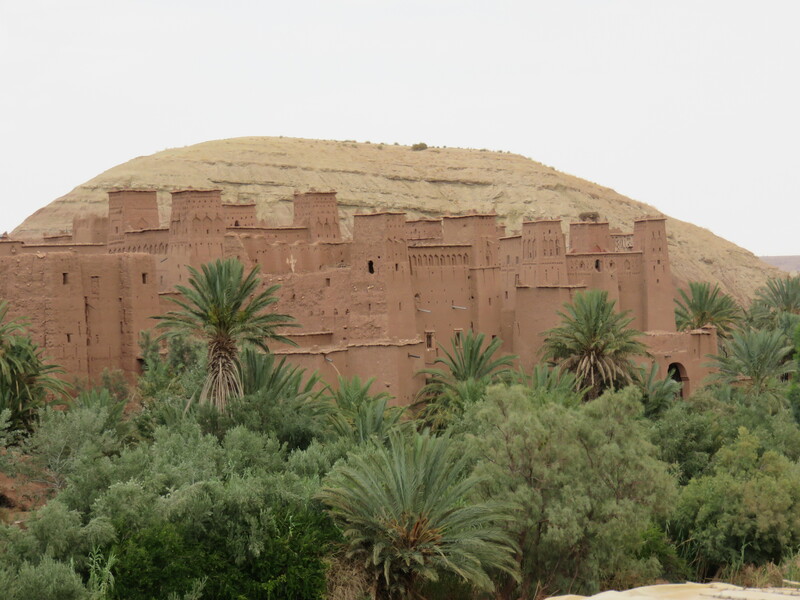 A fortified city, or ksar, Ait Ben Haddou lies around 30 km northwest of Ouarzazate. 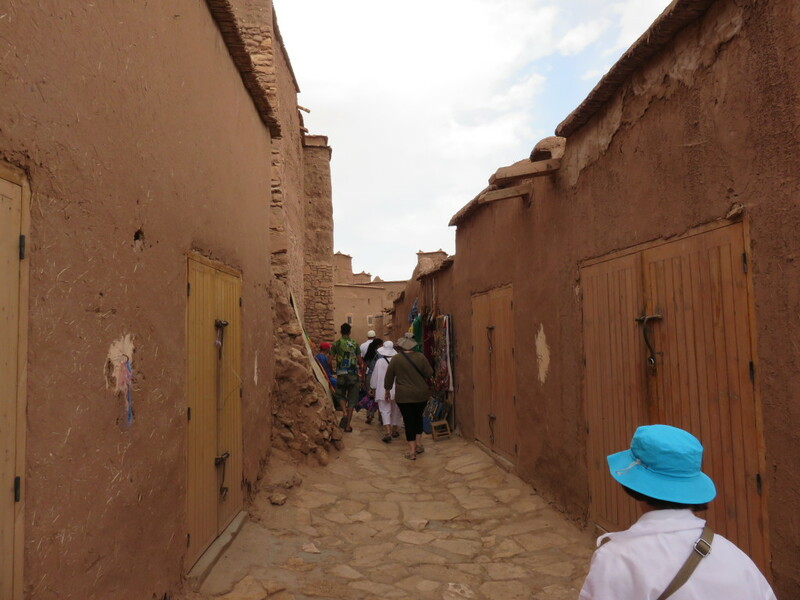 Founded in the 11th century, though many of its buildings are younger, it was once an important place for merchants to rest and trade on the caravan route between the Sahara and Marrakech. 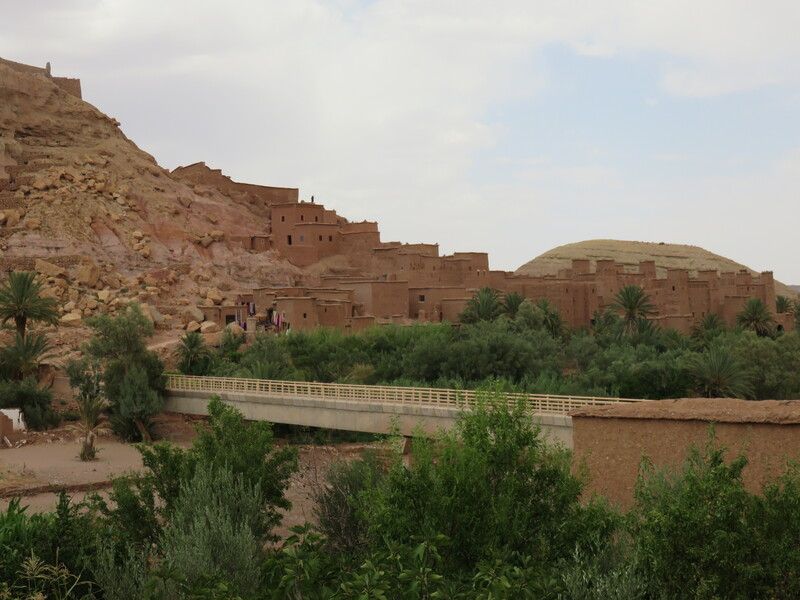 Ait Ben Haddou is recognized as one of the most complete examples of ancient pre-Saharan architecture in the world, leading UNESCO to declare it a World Heritage site in 1987. 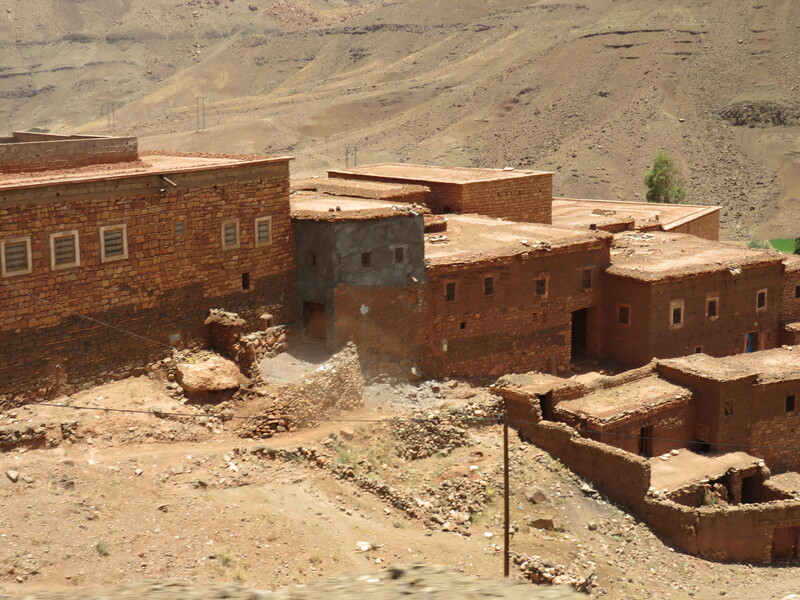 The ksar is a stunning sight, with its great defensive walls, angled towers, and red-earth houses set against the steep mountainside. It is laid out in the traditional fashion: courtyards, homes, mosques, and medersa (university) buildings are set around a central marketplace. There are sweeping panoramas from the fortress’s upper levels. 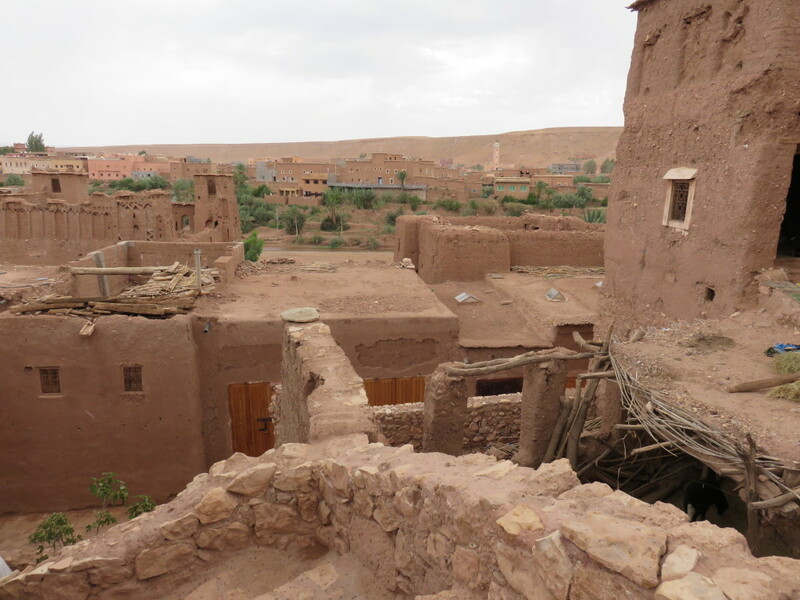 Immortalized in films such as the 1962 Lawrence of Arabia and 1977’s Jesus of Nazareth, Ait Ben Haddou is now a tourist attraction and film location rather than a place for people to live. 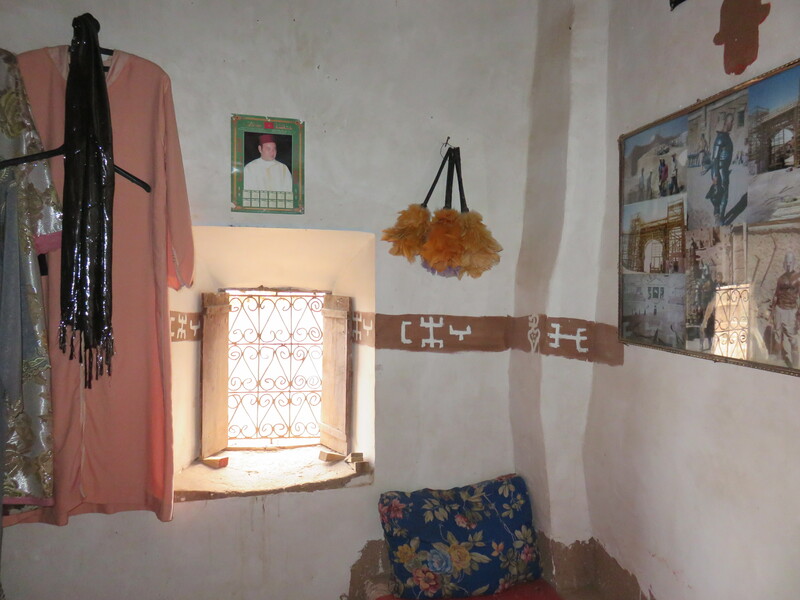 A new village has been built for its former occupants on the opposite side of the river, and film revenues have helped pay for the fortress’s upkeep. 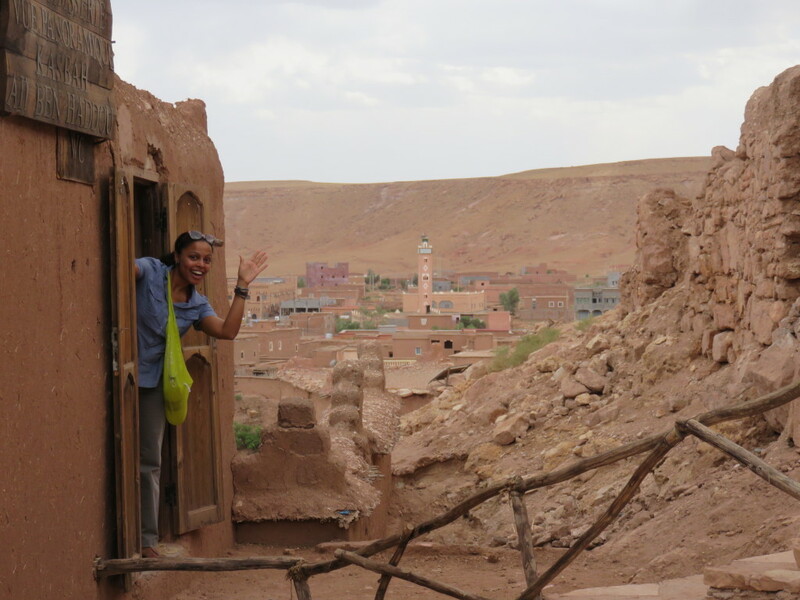 Today, only three families live in this old town. Here is one of its inhabitants, he lives here and sells souvenirs in his house. 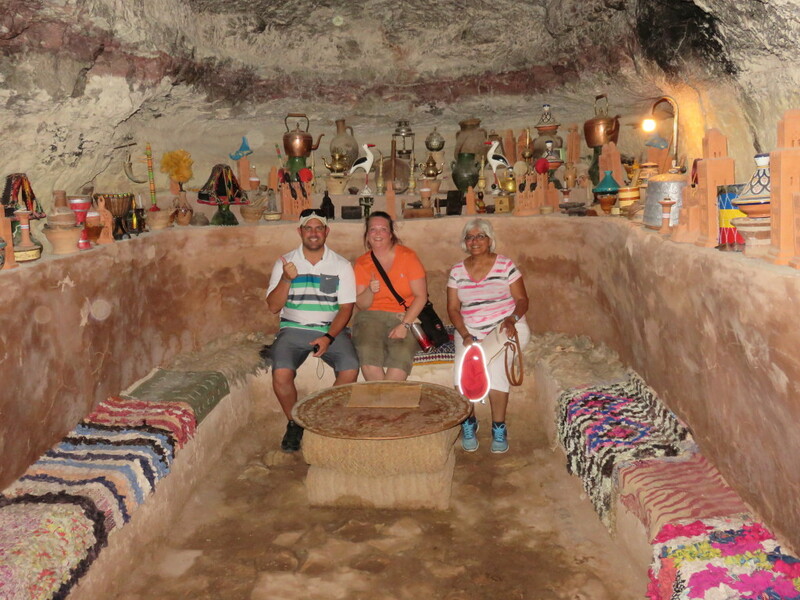 This cave was used as a prison in the movie Gladiator. It’s where we go, and what we do when we get there, that tells us who we are.